The Fictionals heat up AniRevo 2017 Winter with two live shows! Calling all Vancouver Anime fans! The Fictionals are live at AniRevo 2017 Winter with two hot shows, and we want you to join the fun! Anime Revolution is Vancouver’s largest and fasting growing Anime Convention, with two annual conventions celebrating anime, manga, cosplay and Japanese Culture. AniRevo 2017 Winter is at The Arts Institute of Vancouver (2665 Renfrew Street) from February 12 to 13, and we’re excited to be a part of the festivities. First up is Improv Against Humanity: Anime Revolution Edition on Sunday, February 12 from 2:00-3:00 pm in Room 100 (Sound Stage). Contestants from the live audience will play Cards Against Humanity for the chance to win epic prizes, while The Fictionals & Friends bring the card combinations to life! Plus someone will be crowned Anime Revolution’s most horrible person! Then stick around for Vancouver Improv Fight Club: Anime Apocalypse on Monday, February 13 from 10:30-11:30 am in Room 242! Come enjoy a packed hour of laughs inspired by AniRevo, with improv games, sweet prizes and more! With special guests The Radical Improv! Learn more about Improv Against Humanity and The Fictionals, and make plans to join us at AniRevo 2017 Winter! Heads up, Vancouver Anime fans! The Fictionals are performing two shows at AniRevo2016: Summer, and we want you to join the action! Anime Revolution is Vancouver’s largest and fasting growing Anime Convention. Anime, manga, cosplay and Japanese Culture will be celebrated at Vancouver Convention Centre from August 5 to 7, 2016, and we’re excited to be a part of the festivities. First up is The Improvised Adventures of Anime Revolution on Friday, August 5 from 7:30-8:30 pm in Ballroom B. Come enjoy a packed hour of laughs inspired by AniRevo, with improv games, sweet prizes and more! Learn more about Improv Against Humanity and The Fictionals, and make plans to join us at AniRevo2016: Summer! The Fictionals & Super Fight Club at Anime Revolution 2015! 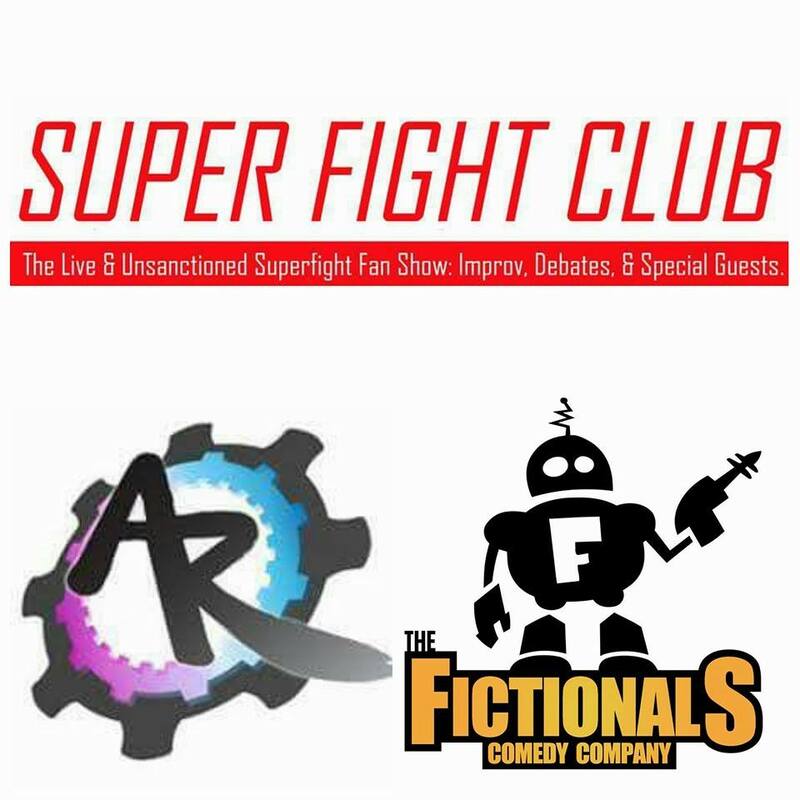 Catch The Fictionals Comedy Co. at Anime Revolution with Super Fight Club on August 15th alongside some of our favourite debaters, podcasters and improvisers! TEAM-UP TIME! Presented by The Fictionals and Geeks versus Nerds Vancouver, Super Fight Club is a Live & Unsanctioned fan show featuring the hit card game Superfight! Our panelists will battle it out in the ring using only their wits and words! With special guests from The League of Manchildren, Caustic Soda: The Podcast, VTSL Rookie League, Blind Tiger House Team, Table 23, The Radical Improv and Off Key Improv.